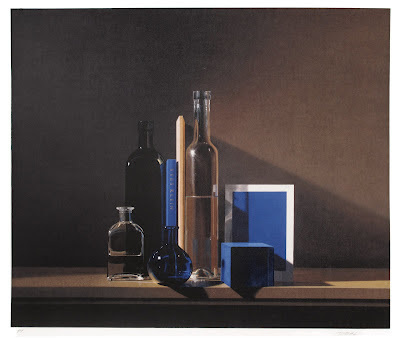 Looking at the virtuosic precision on display in Guy Diehl’s latest print edition Still Life with Yves Klein Blue, one might never guess that the acrylic painting which served as its source was created amid personal turmoil. It’s one of my favorite paintings of the last decade, says Diehl: I was making a lot of changes in my life, and the painting somehow secured what I was doing: there was a conspiracy between my life and this image, but a good conspiracy. As if in response to this personal flux, the work’s composition suggests a powerful sense of harmony and intentionality: the movement from the complicated reflections and curves of the bottles on the left to the angular certainty of the postcard and gift box on the right echo the emerging personal resolve that Diehl experienced during its creation, as does the passage from dark to light as one’s eye passes across the print’s surface. Diehl’s work typically takes as a point of departure his heroes and inspirations from art history – in this case, the French painter, sculptor, writer, performance artist and provocateur Yves Klein. Klein is perhaps best known for working with a chemist to develop his own patented color, International Klein Blue, which he used almost exclusively to create his monochromatic works in various media. Colors have a very specific effect on people, Diehl notes: decades ago, a painting instructor told me, ‘If your painting isn’t working, just put some red into it.’ To me, Klein’s is a seductive blue. This striking ultramarine pigment is on display in Diehl’s print in the form of a postcard reproduction of one of Klein’s monochromatic canvases; it also functions as an emotional cipher, connoting intensity and ‘the blues’ even as its warmth and saturation draws the viewer in. Diehl’s great affection for his eponymous 2007 Klein Blue painting led him to revisit its composition in 2012 as an intaglio print at Magnolia Editions, where he digitally recomposed the colors and values of the image to fit the new medium. He also incorporated a lace-like pattern into the background, created by layering pencil strokes on mylar for hours to build up a unique, hand-drawn texture. The print was proofed and revised with printer Nicholas Price over the course of several months: a close look at the extraordinary blue reflections in each of its glass bottles reveals Diehl’s determination to capture the most subtle movements of light and color within each object. 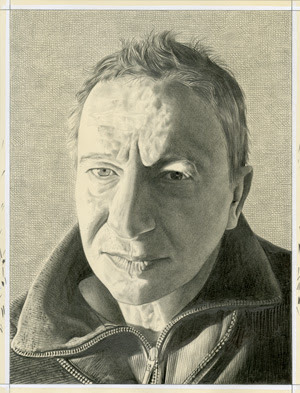 The final work fairly hums with a compressed unity, its shadowy palette briefly punctuated by vivid, almost sparkling highlights, as if celebrating the artist’s capacity to strive, even in dark times, for moments of brilliance. Please contact the studio for pricing and availability of Still Life with Yves Klein Blue, or download the press release (PDF, 73k). Effervescent sculptor and painter Norbert Prangenberg passed away on June 29, 2012. 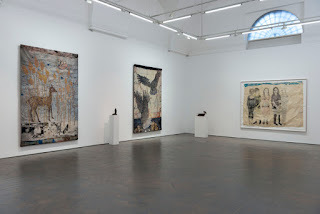 A professor at the Art Academy in Munich, Prangenberg exhibited his lively, heavily impastoed oil paintings and faience-glazed ceramic sculptures widely in his native Germany. In recent years his international renown had begun to grow; his first solo exhibitions in Britain and the United States coincided with the release of A Child's Vi[r]gil, a collaborative artist's book with John Yau published by Magnolia Editions in 2010. 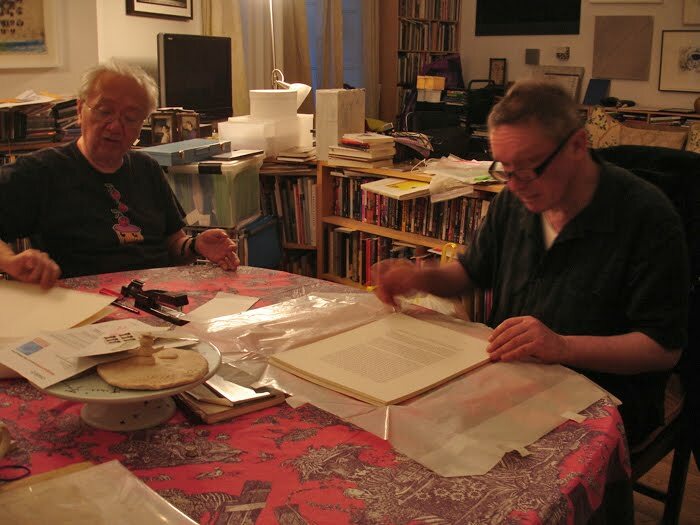 The staff at Magnolia Editions sends its condolences and best wishes to Prangenberg's family, friends, and students. Please read a conversation between Yau and Prangenberg at the Brooklyn Rail, which discusses Prangenberg's unusual artistic development and his unique, thoughtful approach to composition.